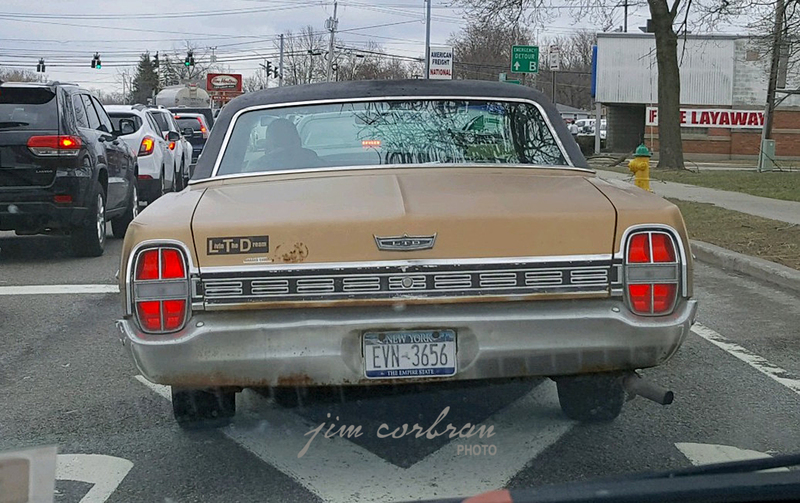 After following this 1968 Ford LTD through North Tonawanda a couple of weeks ago, I had to get home and look up the production numbers. Only 22,834 of these four-door sedans were built that year, compared to 54,163 two-door hardtops and 61,755 four-door hardtops. This traditional, pillared four-door model would only stick around for two more model years before being replaced for 1971 by a body style with a much thinner B-pillar and frameless door glass.